ProAves is conducting a series of workshops in handmade shoes, sandals and candles, with the objective of providing economic alternatives for families in rural communities adjacent to some reservations. During the first workshop, held in April in the town of Roncesvalles, Tolima, buffer zone of the Loro Coroniazul Bird Reserve, 10 rural women were taught on how to make shoes in crochet, these women are mostly without paid work or dedicated to housework. They live in farmhouses adjacent to the reserve, their main activity is milking and manufacturing cheese, but none gets paid for their work. During the workshops, participants were encouraged to market the products they made and have had excellent results, some distributed their products locally, they also have sold them in other villages or towns and have even participated in craft fairs. The second workshop was held in August in the municipality of San Vicente de Chucuri, in the village of El Centro, area of influence of the Reinita Cielo Azul Bird Reserve. This workshop was based on the development of craft boots made from artesian yarn and wool. 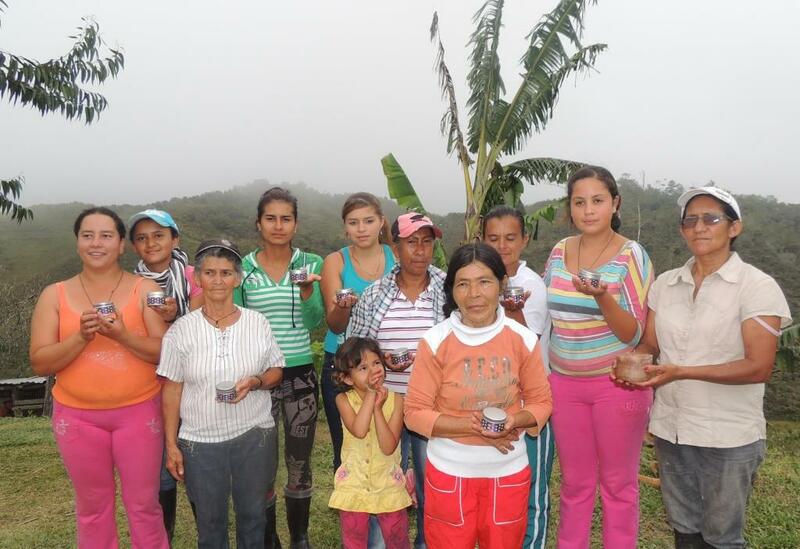 In the municipality of Anorí, Antioquia department, area of influence of the Arrierito Antioqueño Bird Reserve two workshops were performed, the first included the participation of women in the villages of Roble Arriba and Villa Fátima, where basic principles were experienced making handmade candles: transforming paraffin, giving color and scent, different shapes and textures. 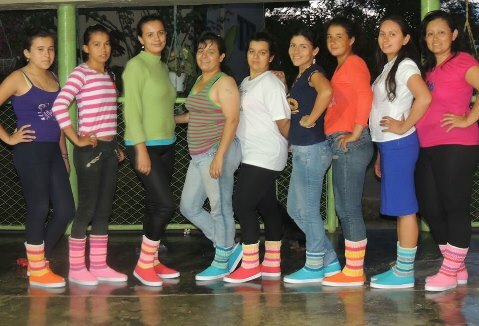 And the second workshop, held in the village of Charcón, 10 women were trained in the decoration of sandals, the workshop lasted 6 hours where each of the participants received the necessary material to make 2 pairs of sandals.